Japan’s pink cherry blossom filled spring, cities illuminated with neon lights, steamy onsens and historic culture entice visitors to experience beauty of the archipelago that is Japan. The island nation is home to a history that dates back to earlier than 300BC. This epic history provides travellers with millennia’s of cultural and technological advances to explore. On top of the cultural beauty, Japan is home to a diverse range of natural landscapes. 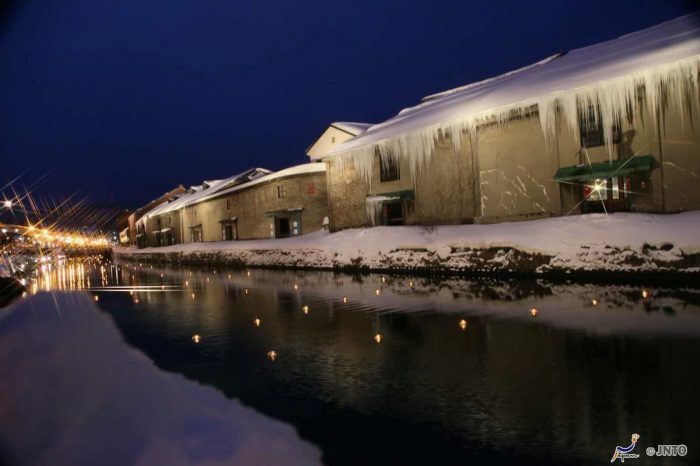 In winter, soft powder snow draws skiers to the many mountain resorts of Hokkaido and summer draws guests to the lush pristine island resorts in the southern islands of Okinawa. The country is connected by a network of high speed rail that whisks travellers between cities in the blink of an eye. Bullet trains provide stunning views as you explore the islands of Japan. Rice, miso soup and fresh seafood are the key staples of the Japanese cuisine, which has been exported to the world. Travellers flock to Japan to experience an authentic Japanese meal, served in traditional surrounds. Whatever your adventure, Japan has something for everyone. Here at Your Trip, we offer a number of diverse and exciting Japan luxury, private and group tours that people from all over the world enjoy. We do much more than just shuttle you to and from Japan’s tourist attractions; instead, we consciously curate tours that provide authentic, unforgettable experiences. When you choose Your Trip, we make sure that you leave the Japanese archipelago with a rich knowledge and understanding of its culture, its history and its people. Get in touch with us today to learn more about our tours of Japan. Japan is packed with world heritage sites that date back over a thousand years. The mountainous islands offer an incredibly diverse range of activities with everything from ancient temples, historic castles and modern cities where the latest gadgets are invented every day. 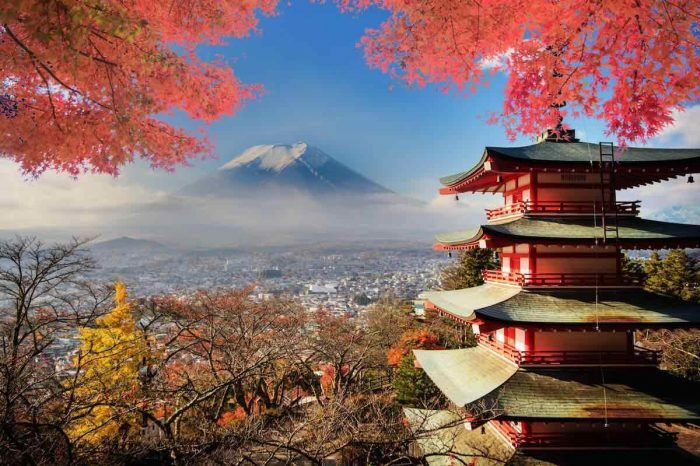 Japan’s distinct seasons bring with them new reasons to explore this amazing country. Summer to Winter, Autumn to Spring, the landscape changes colour and opens new adventures for travellers. Whether you choose one of our small group tours or prefer to experience this gorgeous part of the world with a private tour, we introduce you to Japan in a way that many people only ever dream about. Why choose one of our Japan group tours? Your Trip designs group and private tours that suit your interests, budget and needs. We know that everyone likes to travel differently, so we make sure our range of tours are personalised and completely perfect for you. Whether you choose one of our Japan private tours, or are dreaming of visiting Canada, Sri Lanka, the USA or the Maldives, you can countdown to your trip knowing that it will be the experience of a lifetime. Each day you will be immersed in the authentic culture of your chosen destination, experiencing everything from Japanese tourist destinations such as historic landmarks and World Heritage Sites, to the hidden gems that only locals know about. Our focus on small group tours and sustainable tourism means every detail is consciously planned and carried out. We use local tour guides to support the tourism industry and ensure every aspect of your tour is done with the utmost respect to Japanese culture. By the time you leave, you will have gotten an authentic taste of what this country is really about. Your Trip gives you the chance to enjoy guided tours in a way that suits your personal budget, interests and needs. Get in touch with us today to enquire about any of our luxury tours or small group tours of Japan and hear how we can show you the experience of a lifetime. This package is a taster to the heart of Japan's major metropolis of Tokyo, the former capital of Kyoto and many cultural and national icons.